For many people, the Bible represents an outdated book with little to say to those of us who live in today’s world. But those who hold such an opinion have probably never read the Old Testament book of Nehemiah. Strategies for effectively working with supervisory personnel. Practical methods to analyze problems and set goals. Finally, the book of Nehemiah can provide us with leadership principles for use in guiding others and managing large scale projects. Yet despite these things, the book of Nehemiah should not be viewed as a self-help book or “best practices” handbook. Instead, the book of Nehemiah emphasizes the primary importance of a genuine, interactive relationship with God as the foundation from which these principles emerge. The text contained within this book can also be found within ancient copies of the book of Ezra (the volume that precedes the book of Nehemiah in our modern Bibles). In light of this, it appears that these two books were considered to be a single entity at one point in history. In fact, an ancient source known as the Septuagint (a translation of the Old Testament into Greek that took place around 200 B.C.) incorporates both Ezra and Nehemiah into a single volume simply entitled Ezra-Nehemiah. Many sections of this book are authored from a first-person perspective and feature the regular use of pronouns such as “I,” “we,” and “us.” Because of this, many speculate that Nehemiah’s book may have actually originated in the form of a diary or personal memoir. As you might expect from such a work, Nehemiah serves as the most prominent character within this book but somewhat surprisingly, he is never mentioned anywhere else within the Scriptures with the exception of the book that carries his name. The books of Ezra and Nehemiah each chronicle events that took place during the period of Jewish history known as the Babylonian captivity. To understand how and why that captivity took place (and how it impacted the events found here within the book of Nehemiah), we must go back in time to a period of history that begins about one thousand years before the birth of Christ. We’ll begin our journey to that period of Israel’s history and follow its trail to the events that take place within the book of Nehemiah next. Around 1085 B.C. David, the son of Jesse was born in the town of Bethlehem. As chronicled extensively within the Old Testament books of 1 and 2 Samuel, David grew from very humble beginnings to eventually become the king of Israel. Following David’s death, his son Solomon took his place as king. But if you or your sons turn away from me and do not observe the commands and decrees I have given you and go off to serve other gods and worship them, then I will cut off Israel from the land I have given them and will reject this temple I have consecrated for my Name. Israel will then become a byword and an object of ridicule among all peoples. And though this temple is now imposing, all who pass by will be appalled and will scoff and say, ‘Why has the Lord done such a thing to this land and to this temple?’ People will answer, ‘Because they have forsaken the Lord their God, who brought their fathers out of Egypt, and have embraced other gods, worshiping and serving them — that is why the Lord brought all this disaster on them'” (1 Kings 9:3-9 NIV). That chapter later goes on to tell us, “Therefore the Lord said to Solomon, ‘Because you have done this, and have not kept My covenant and My statutes, which I have commanded you, I will surely tear the kingdom away from you and give it to your servant'” (1 Kings 11:11). In time, the nation of Israel split into two separate divisions. The northern division was known as Israel and consisted of ten of the twelve tribes that originally formed the nation. The southern division was known as Judah and consisted of the tribes of Judah and Benjamin (see 1 Kings 11:31-36). This historical information will go on to have a significant impact on the events that take place within the book of Nehemiah. “The king of Assyria invaded the entire land, marched against Samaria and laid siege to it for three years. In the ninth year of Hoshea, the king of Assyria captured Samaria and deported the Israelites to Assyria. He settled them in Halah, in Gozan on the Habor River and in the towns of the Medes. All this took place because the Israelites had sinned against the LORD their God, who had brought them up out of Egypt from under the power of Pharaoh king of Egypt. They worshiped other gods and followed the practices of the nations the Lord had driven out before them, as well as the practices that the kings of Israel had introduced. …Therefore the LORD rejected all the people of Israel; he afflicted them and gave them into the hands of plunderers, until he thrust them from his presence… The Israelites persisted in all the sins of Jeroboam and did not turn away from them until the LORD removed them from his presence, as he had warned through all his servants the prophets. So the people of Israel were taken from their homeland into exile in Assyria, and they are still there” (2 Kings 17:5-8, 20, 22-23 NIV). History tells us that the last inhabitants of the northern kingdom of Israel were captured and forcibly relocated to the land of Assyria around 722 B.C. Those who were deported to Assyria never returned to see their ancestral homes again. This left the southern kingdom of Judah as the last remaining link to the nation of people that God originally rescued from slavery in Egypt so many centuries earlier. Unfortunately, the people of Judah did not learn from the example of their northern neighbors. The Scriptures tell us that they also refused to recognize and honor God- and we’ll look at how God responded to those choices next. “The Lord said through his servants the prophets: ‘Manasseh king of Judah has committed these detestable sins. He has done more evil than the Amorites who preceded him and has led Judah into sin with his idols. Therefore this is what the Lord, the God of Israel, says: I am going to bring such disaster on Jerusalem and Judah that the ears of everyone who hears of it will tingle. I will stretch out over Jerusalem the measuring line used against Samaria and the plumb line used against the house of Ahab. I will wipe out Jerusalem as one wipes a dish, wiping it and turning it upside down. I will forsake the remnant of my inheritance and hand them over to their enemies. “On the seventh day of the fifth month, in the nineteenth year of Nebuchadnezzar king of Babylon, Nebuzaradan commander of the imperial guard, an official of the king of Babylon, came to Jerusalem. He set fire to the temple of the Lord, the royal palace and all the houses of Jerusalem. Every important building he burned down. The whole Babylonian army, under the commander of the imperial guard, broke down the walls around Jerusalem. Nebuzaradan the commander of the guard carried into exile the people who remained in the city, along with the rest of the populace and those who had gone over to the king of Babylon” (2 Kings 25:8-12 NIV). So the beautiful Temple that once resided within the formerly great city of Jerusalem was reduced to a pile of rubble while the surrounding area was turned into an uninhabited wasteland. At that point, the city of Jerusalem might have gone on to become a historical non-entity, a place that held little interest to anyone other than scholars and historians. But the story of this once great city was far from over. As we continue to look at the historical developments that preceded the Biblical book of Nehemiah, the next stop on our archival timeline takes us to the emergence of a new power on the world scene. Around 549 B.C. a man named Cyrus assumed leadership of the Medo-Persian Empire. Cyrus eventually went on to lead the conquest of the Babylonian Empire (the world power that had previously destroyed the city of Jerusalem and taken the people of Judea captive) around 539 B.C. In due course, Cyrus granted permission to those who had been previously taken captive by the Babylonians to return to their former homes (see Ezra 1:1-3). A leader named Zerubbael and about 50,000 others accepted this offer to return to their ancestral homeland around 538 B.C. (see Ezra 2:2 and following). While 50,000 people may sound like a significant number, the reality is that a far larger number of people (believed to as many as 2-3 million) were originally deported to Babylon. In terms of estimated numbers, this means that only 2% of those who were exiled actually chose to return home when provided with the opportunity to do so. Then the people of the land tried to discourage the people of Judah. They troubled them in building, and hired counselors against them to frustrate their purpose all the days of Cyrus king of Persia, even until the reign of Darius king of Persia” (Ezra 4:1-5). So while there was much rebuilding work to be done, there were many potential adversaries who were equally motivated to see that no further work was accomplished. This will go on to become a recurring theme within the book of Nehemiah. “…To King Artaxerxes, From your servants, the men of Trans-Euphrates: The king should know that the Jews who came up to us from you have gone to Jerusalem and are rebuilding that rebellious and wicked city. They are restoring the walls and repairing the foundations. Furthermore, the king should know that if this city is built and its walls are restored, no more taxes, tribute or duty will be paid, and the royal revenues will suffer. Now since we are under obligation to the palace and it is not proper for us to see the king dishonored, we are sending this message to inform the king, so that a search may be made in the archives of your predecessors. In these records you will find that this city is a rebellious city, troublesome to kings and provinces, a place of rebellion from ancient times. That is why this city was destroyed. We inform the king that if this city is built and its walls are restored, you will be left with nothing in Trans-Euphrates. The king sent this reply: To Rehum the commanding officer, Shimshai the secretary and the rest of their associates living in Samaria and elsewhere in Trans-Euphrates: Greetings. The letter you sent us has been read and translated in my presence. I issued an order and a search was made, and it was found that this city has a long history of revolt against kings and has been a place of rebellion and sedition. Jerusalem has had powerful kings ruling over the whole of Trans-Euphrates, and taxes, tribute and duty were paid to them. Now issue an order to these men to stop work, so that this city will not be rebuilt until I so order. Be careful not to neglect this matter. Why let this threat grow, to the detriment of the royal interests? As soon as the copy of the letter of King Artaxerxes was read to Rehum and Shimshai the secretary and their associates, they went immediately to the Jews in Jerusalem and compelled them by force to stop. Thus the work on the house of God in Jerusalem came to a standstill until the second year of the reign of Darius king of Persia” (Ezra 4:11-23 NIV). So the work of rebuilding the city had now been terminated by virtue of a royal decree- or so it appeared. The Old Testament book of Ezra provides us with the account of those who had returned from their Babylonian exile in an effort to rebuild the decimated city of Jerusalem. Unfortunately, we’re also told that the work of these volunteers was halted by the efforts of those who opposed them according to Ezra chapter four. In response, God called forth two prophets named Haggai and Zechariah to encourage the people to continue the rebuilding efforts according to Ezra 5:1-2. Those who were committed to rebuilding the Temple responded to God’s message through these prophets and despite some further complications imposed by a few local officials (Ezra 5:3-17), the project was re-approved (Ezra 6:1-13) and work on the Temple was finally completed around 515 B.C. (Ezra 6:14-15). This background information sets the stage for the conditions that Nehemiah will encounter beginning in Nehemiah chapter one. In terms of a historical timeline, Nehemiah’s account will begin about 15 years after the book of Ezra ends, about 100 years after the first wave of exiles were permitted to return to Jerusalem, and about 150 years after the city was originally destroyed. Although much of the reconstruction work involved in restoring the city of Jerusalem had been accomplished in advance of Nehemiah chapter one, one important element of this rebuilding effort still remained: the city still lacked the safety and security of a perimeter wall. You see, a city without walls during this period was a city that was vulnerable to attack. Because of this, any self-respecting city of the Old Testament era was secured by the protection of an exterior wall. The candidate had to be someone who honored God. The candidate had to be a person of character and integrity. The candidate had to be someone who wouldn’t give up when things got difficult. Finally, the candidate had to be someone who was willing to do God’s work in God’s way. God found each of those important qualities in a man named Nehemiah. As touched upon earlier, the book of Nehemiah presents an attentive reader with a good example of God-honoring leadership. But this book is not only useful for those who are seeking Godly principles for leadership- the examples found within this book will benefit anyone, no matter where he or she happens to be in life. We’ll see why next. How to look for God’s direction. How to effectively deal with opposition. Finally, the book of Nehemiah can help us learn how to effectively finish the work that God has given us to do. Of course, a person who does not serve in a management position may fail to see the immediate benefit associated with the leadership principles found within the book of Nehemiah. However, we would do well to remember that virtually every human being holds a leadership position in some respect. Here’s why: with very few exceptions, every human being possesses a sphere of influence, even if it is only among a few people. For instance, our circle of influence might include friends, co-workers, family members, online acquaintances, or others with whom we come into contact. That degree of influence -however small- can be utilized to lead and impact others in whatever manner we may choose. This means that everyone is a leader to a certain extent, for everyone exerts some degree of influence upon others. And since every person is a leader among those within his or her circle of influence, this means that everyone can benefit from the principles for leadership found here within the book of Nehemiah even he or she does not hold an official leadership title or position. “…God has given us the privilege of urging everyone to come into his favor and be reconciled to him. For God was in Christ, restoring the world to himself, no longer counting men’s sins against them but blotting them out. This is the wonderful message he has given us to tell others. We are Christ’s ambassadors…” (2 Corinthians 5:18b-21a TLB). Because everyone is a leader to some degree, a person who employs the God-ordained leadership principles contained within the book of Nehemiah is someone who will be well equipped to act as an ambassador for Christ in whatever circle of influence he or she may possess. A person who is called to a leadership position is often someone who “sees” needs that others don’t and then gets involved in meeting those needs. Such a person is often someone who notices things that should be done (or could be done better) and then prayerfully gets involved. This does not necessarily mean that we are responsible for meeting every potential need that may present itself, nor does it mean that we are obligated to do everything we may be asked to do. However, we can say that -in a general sense- a person who sees a need in a particular area may be the person that God has ordained to step up and take the lead in that situation, whatever it is. “The words of Nehemiah the son of Hachaliah. It came to pass in the month of Chislev, in the twentieth year, as I was in Shushan the citadel, that Hanani one of my brethren came with men from Judah; and I asked them concerning the Jews who had escaped, who had survived the captivity, and concerning Jerusalem. And they said to me, ‘The survivors who are left from the captivity in the province are there in great distress and reproach. The wall of Jerusalem is also broken down, and its gates are burned with fire'” (Nehemiah 1:1-3 NKJV and following). The name “Nehemiah” means, “God comforts” and while very little is known concerning Nehemiah other than what we read within this book, we can can make a few general observations based on the information that we are given in this passage. For instance, we know the general time period in which these events occur for we’re told, “In the month of Kislev in the twentieth year, while I was in the citadel of Susa…” (NIV). Kislev would correspond November or December on a modern-day calendar and the “twentieth year” is generally recognized as a reference to the reign of a king named Artaxerxes, a person with whom we will become better acquainted shortly. This means that we can pinpoint the date of these events to the November/December period of the year 445 B.C. This information is important for it reminds us that the book of Nehemiah is not a story or a fictional novel. It tells us that the events that we’re about to read are real events that happened to real people in real time at a specific point in history. “These are the words of Nehemiah son of Hacaliah: It so happened that in the month of Kislev, in the twentieth year, I was in Susa the citadel. Hanani, who was one of my relatives, along with some of the men from Judah, came to me, and I asked them about the Jews who had escaped and had survived the exile, and about Jerusalem. They said to me, ‘The remnant that remains from the exile there in the province are experiencing considerable adversity and reproach. The wall of Jerusalem lies breached, and its gates have been burned down! '” (Nehemiah 1:1-3 NET). The historical nature of Nehemiah’s account is punctuated by another reference in Nehemiah 1:2: “I was in the palace complex at Susa” (MSG). The citadel of Susa is historically known as the fortified palace and winter residence of the kings of Persia and the fact that Nehemiah was present within this royal citadel indicates that he was a person of some importance. The critical nature of Nehemiah’s position will be revealed in the final sentence of this chapter but for now, verse two tells us, “Hanani, one of my brothers, came from Judah with some other men, and I questioned them about the Jewish remnant that survived the exile, and also about Jerusalem” (NIV). Since Jerusalem was located about 800 miles (1287 km) away from Susa, this reference tells us something important about Nehemiah as a person. You see, Nehemiah was physically located in Susa but his heart was somewhere else. That “somewhere else” was Jerusalem, the capital city of his God, his people, and his ancestors. Unfortunately, Nehemiah received a report that was both somber and disheartening: “They told me that those who had survived and were back in the homeland were in great difficulty and that the foreigners who lived nearby looked down on them. They also told me that the walls of Jerusalem were still broken down and that the gates had not been restored since the time they were burned” (GNB). So the situation reported to Nehemiah was undeniably desperate and we’ll look at his response to this disastrous news next. “So it was, when I heard these words, that I sat down and wept, and mourned for many days; I was fasting and praying before the God of heaven” (Nehemiah 1:4). When Nehemiah inquired about the state of affairs in Jerusalem, we might assume that he was expecting to receive a positive report. Unfortunately, the news he received was anything but good, for the conditions within the once-great city of Jerusalem were deplorable. Nevertheless, when Nehemiah was told, “Those who survived the exile and are back in the province are in great trouble and disgrace. The wall of Jerusalem is broken down, and its gates have been burned with fire” (Nehemiah 1:3 NIV), his response provides us with one of the first great lessons of this book. You see, one of the first things we can learn from Nehemiah’s example concerns the right way to deal with bad news. When Nehemiah learned about the circumstances in Jerusalem, we should notice that he didn’t begin to complain. He didn’t seek to blame others or assign responsibility to someone else. Although Nehemiah reacted by expressing his emotional distress at the news of these conditions, we also find that he responded in a God-honoring manner as well: “…I fasted and prayed before the God of heaven” (ASV). Nehemiah’s response to this situation provides us with a good opportunity to consider these subjects of prayer and fasting- and just as is true for many such topics, we can benefit greatly by first defining our terms. Let’s consider the subject of prayer first. When used in this context, the most basic definition of prayer is “communication with God” and it involves those words or thoughts that are specifically directed towards our Creator. In looking at the Biblical references to this subject, it quickly becomes apparent that the act of prayer is something that may take a number of different forms. For example, the Scriptures tell us of those who prayed while standing (1 Samuel 1:26) and while sitting down (1 Kings 19:4). There are some who prayed silently (1 Samuel 1:13) and loudly (Psalms 55:17) as well. Finally, we can find Biblical references to those who prayed privately (Matthew 6:6) and publicly (Ezra 10:1). So assuming that we are coming to God through Christ (John 16:26-27), there are many ways in which someone might approach God in prayer. We’ll look at some of Jesus’ teachings on this subject and see what He had to say regarding the proper attitude for approaching God in prayer next. “On hearing this answer, I sat down and wept; I mourned for several days, fasting and praying before the God of heaven” (Nehemiah 1:4 CJB). “And when you pray, do not use vain repetitions as the heathen do. For they think that they will be heard for their many words. Therefore do not be like them. For your Father knows the things you have need of before you ask Him” (Matthew 6:7-8). A “vain repetition” can be defined as a routine or habitual prayer that features little emotional, spiritual, or intellectual involvement. As used here in Matthew 6:7, the term “vain repetition” means “to repeat the same things over and over” (1) and it carries the idea of a shallow prayer that one might offer in a tedious or repetitive fashion. In Jesus’ day, those who sought help from the “gods” would typically recite the supposed greatness of that god in a continuous manner. A person who sought the favor of a so-called god in this fashion might make use of a repetitive prayer formula consisting of an expression of devotion, a request for help, and a reminder of all the good things that he or she had done. A person who engaged in a lengthy or repetitive prayer was held to be someone who was especially deserving of an answer to his or her request. Of course, such prayers really weren’t very genuine for these pretentious and elaborate expressions of devotion served as little more than vehicles to get what the “pray-er” wanted from his or her god. In contrast, Jesus taught that things should be very different among those who follow the one true God. Rather than mindlessly repeating a set prayer formula, the clear implication of Jesus’ message in Matthew 6:7-8 is that we should approach God with genuine sincerity in bringing our needs before Him in a real and personal way. Remember that God is fully capable of differentiating between a person who seeks Him in sincerity and those who “…pour out a flood of empty words”(CEB). It is far better to approach God with an attitude of humility and the recognition that He is genuinely worthy of respect, honor, and worship. In light of these things, we might ask if it is wrong seek God repeatedly for a recurring need. Well, we’ll consider the difference between a “repetitive” and a “repeated” prayer next. “As soon as I heard these words I sat down and wept and mourned for days, and I continued fasting and praying before the God of heaven” (Nehemiah 1:4 ESV). In Matthew 6:7 we read the following quote from Jesus: “…when you pray, do not keep on babbling like pagans, for they think they will be heard because of their many words” (NIV). Does this imply that it is wrong to engage in a lengthy prayer or that it is inappropriate to pray for the same thing more than once? Well, we can begin by saying that it is always appropriate to bring our needs before God in prayer according to Philippians 4:6. This means that if we have the same need today as we did yesterday, it is appropriate to bring that need before God again and ask for His help and assistance. However, if such prayers become habitual requests that feature little or no emotional, spiritual, or intellectual involvement, then they are certainly in danger of becoming vain repetitions. “One day Jesus told his disciples a story to illustrate their need for constant prayer and to show them that they must keep praying until the answer comes. ‘There was a city judge,’ he said, ‘a very godless man who had great contempt for everyone. A widow of that city came to him frequently to appeal for justice against a man who had harmed her. The judge ignored her for a while, but eventually she got on his nerves. ‘I fear neither God nor man,’ he said to himself, ‘but this woman bothers me. I’m going to see that she gets justice, for she is wearing me out with her constant coming!’ Then the Lord said, ‘If even an evil judge can be worn down like that, don’t you think that God will surely give justice to his people who plead with him day and night? Yes! He will answer them quickly! But the question is: When I, the Messiah, return, how many will I find who have faith [and are praying]? '” (Luke 18:1-8 TLB). Matthew 7:7 tells us, “Ask and it will be given to you; seek and you will find; knock and the door will be opened to you” (NIV). Remember that Jesus promises to open His door to us if we knock upon it in genuine, heartfelt prayer. If you have an ongoing need, continue knocking in prayer until the answer comes and remember to thank God for His response when it arrives. In addition to engaging in the act of prayer, this passage tells us that Nehemiah also began fasting as well. Fasting refers to the voluntary act of going without food or water for a period of time. Many of the fasts recorded within the Scriptures were motivated by a desire to take on an attitude of humility towards God through the denial of legitimate needs like eating or drinking (see Ezra 8:21 for an example). Other Biblical examples of fasting were prompted by an intent to honor the deceased (1 Samuel 31:11-13), a demonstration of repentance (Jonah 3:5), or a desire for God’s direction (Esther 4:16). There were also different types of fasts as well. For example, people fasted from eating completely (Ezra 10:5-6) or partially (Daniel 10:2-3). Fasts could last a day (Judges 20:26), a week (1 Samuel 31:13), or even as long as 40 days (as in the case of both Moses [Exodus 34:27-28] and Jesus [Luke 4:1-2]). In many instances, Biblical fasting also included a strong emphasis on prayer. However, it’s important to remember that the Scriptures also tell of God’s displeasure with those who fasted with the wrong attitudes. For example, Jesus once issued a warning regarding the hypocrisy of those who drew attention to the fact that they were fasting in Matthew 6:16-18. The Old Testament prophet Isaiah also recorded the comments of those who were upset by the fact that God didn’t seem to notice the fact that they were fasting. In responding to those remarks, God explained why He took no notice of these individuals- their fasting meant nothing while they still carried their ungodly attitudes (see Isaiah 58:3-5). “No, the kind of fast I want is that you stop oppressing those who work for you and treat them fairly and give them what they earn. I want you to share your food with the hungry and bring right into your own homes those who are helpless, poor, and destitute. Clothe those who are cold, and don’t hide from relatives who need your help” (Isaiah 58:6-7 TLB). For those whose physical conditions permit it, fasting can be a worthwhile spiritual practice if done with the right attitude for the right reasons. The best thing is to prayerfully seek God for His direction in regards to fasting. “And I said: ‘I pray, LORD God of heaven, O great and awesome God, You who keep Your covenant and mercy with those who love You and observe Your commandments please let Your ear be attentive and Your eyes open, that You may hear the prayer of Your servant which I pray before You now, day and night, for the children of Israel Your servants, and confess the sins of the children of Israel which we have sinned against You. Both my father’s house and I have sinned. We have acted very corruptly against You, and have not kept the commandments, the statutes, nor the ordinances which You commanded Your servant Moses” (Nehemiah 1:5-7). Before we leave the subject of prayer and fasting, we should pause to make a few final observations. First, when Nehemiah received the distressing news regarding the situation in Jerusalem, we should note that he avoided the temptation to immediately launch into action to do something about it. Instead, Nehemiah began by seeking God in prayer. You see, it is sometimes possible to make a bad situation worse if we fail to seek God’s input and direction before taking action. In contrast, Nehemiah sought God in prayer first and we’ll see how he will reap the benefits of that decision later. We should also notice the manner in which Nehemiah structured his prayer within these verses. He began by approaching God with an attitude of honor, respect, and recognition: “LORD, the God of heaven, the great and awesome God, who keeps his covenant of love with those who love him and keep his commandments” (NIV). Nehemiah’s example reminds us that “prayer” doesn’t mean that we approach God with a list of things we want Him to do and then depart. Instead we would do well to follow Nehemiah’s model in demonstrating an attitude of respect and appreciation for God’s willingness to hear and act upon those things we’ve asked of Him in prayer. In all these things, Nehemiah provides us with the right example to follow as he approached God respectfully, personally, continually, and responsibly in prayer. (1) Word In Life Study Bible (1996). (electronic ed., Ne 1:4). Nashville, TN: Thomas Nelson. “We have acted very corruptly against You, and have not kept the commandments, the statutes, nor the ordinances which You commanded Your servant Moses. Remember, I pray, the word that You commanded Your servant Moses, saying, ‘If you are unfaithful, I will scatter you among the nations; but if you return to Me, and keep My commandments and do them, though some of you were cast out to the farthest part of the heavens, yet I will gather them from there, and bring them to the place which I have chosen as a dwelling for My name'” (Nehemiah 1:7-9). Rather than attempt to excuse or explain away the sins that originally led to the Babylonian exile, Nehemiah instead chose to acknowledge them with an attitude of humility and honesty: “We have acted very wickedly toward you. We have not obeyed the commands, decrees and laws you gave your servant Moses” (NIV). This tells us that Nehemiah recognized the fact that God’s people had committed sins of omission (“we have not kept your commandments”) as well as sins of commission (“we have acted very corruptly against You”). These cold, hard truths were probably not easy for Nehemiah to admit but he chose to be honest with God in prayer about the reality of the situation. “In the future, when your children and grandchildren are born and you have been in the land a long time, and you have defiled yourselves by making idols, and the Lord your God is very angry because of your sin, heaven and earth are witnesses that you shall be quickly destroyed from the land. Soon now you will cross the Jordan River and conquer that land. But your days there will be brief; you will then be utterly destroyed. For the Lord will scatter you among the nations, and you will be but few in number” (TLB). It seems clear that Nehemiah had this portion of Scripture (or one like it) (1) in mind when he said, “If you are unfaithful, I will scatter you among the nations” in Nehemiah 1:8. But Nehemiah also made a second reference to the book of Deuteronomy within this prayer and we’ll take a closer look at those verses next. “Please remember what You told Your servant Moses: ‘If you are unfaithful to Me, I will scatter you among the nations. But if you return to Me and obey My commands and live by them, then even if you are exiled to the ends of the earth, I will bring you back to the place I have chosen for My name to be honored'” (Nehemiah 1:8-9 NLT). “When all these things have happened to you -the blessings and the curses I have listed- you will meditate upon them as you are living among the nations where the Lord your God will have driven you. If at that time you want to return to the Lord your God, and you and your children have begun wholeheartedly to obey all of the commandments I have given you today, then the Lord your God will rescue you from your captivity! He will have mercy upon you and come and gather you out of all the nations where he will have scattered you. Though you are at the ends of the earth, he will go and find you and bring you back again to the land of your ancestors. You shall possess the land again, and he will do you good and bless you even more than he did your ancestors!” (Deuteronomy 30:1-5 TLB). An important lesson for modern-day readers of Nehemiah chapter one concerns the relationship of Nehemiah’s prayer to these other portions of Scripture. You see, this passage demonstrates that Nehemiah knew enough about God’s Word in order to quote these promises and appropriate them in prayer. For example, Nehemiah would not have been able to reference these passages from Deuteronomy if he had not been familiar with them to begin with. So this implies that Nehemiah was someone who had invested enough time in God’s Word to know what it said. He then used that knowledge to guide and direct his interaction with God regarding a matter of deep personal concern to him. This passage also reveals Nehemiah’s faith in God to keep the Scriptural promises that he referenced within his prayer. Unlike the person who must first demonstrate that he or she can be trusted to act upon a promise, Nehemiah’s clear expectation was that God would be good to His Word. Taken together, Nehemiah’s faith and knowledge of the Scriptures enabled him to confidently quote God’s promises with the expectation that His Word would come to pass just as He had said. 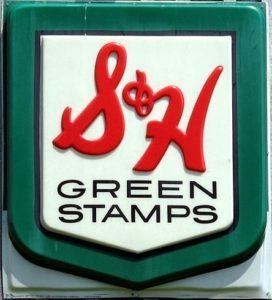 Trading stamps were once a popular commodity among consumers, especially during the post World War II era of American history. These stamps were once offered as consumer incentives by many business establishments and were somewhat similar to the “reward points” offered by retailers and credit card organizations today. For instance, a customer would typically receive a certain number of stamps from a participating merchant based on the total amount of his or her purchase. These stamps were then collected and pasted into a book. When a consumer had collected enough stamps to reach a predetermined level, he or she could redeem them for items that were offered within a catalog. These stamps proved to be popular for a number of reasons. Merchants liked them because they provided an incentive for shoppers to purchase from a participating retailer. Consumers liked them for the premium items that the stamps could be redeemed for. Children enjoyed participating in the ritual of pasting the stamps into a book at the end of a shopping trip and the anticipation of exchanging a completed book for a catalog item. “O Lord, I pray, please let Your ear be attentive to the prayer of Your servant, and to the prayer of Your servants who desire to fear Your name; and let Your servant prosper this day, I pray, and grant him mercy in the sight of this man…” (Nehemiah 1:11). “And I say to you, My friends, do not be afraid of those who kill the body, and after that have no more that they can do. But I will show you whom you should fear: Fear Him who, after He has killed, has power to cast into hell; yes, I say to you, fear Him! (Luke 12:4-5). Notice how Jesus separated the words “afraid” and “fear” within this passage; He said, “…do not be afraid of those who kill the body…” but “…Fear Him who, after He has killed, has power to cast into hell…” This tells us that the Biblical idea of fear is not necessarily synonymous with the state of being afraid. When the word “fear” is used in this kind of Biblical context, it refers to the idea of reverence, honor, or respect. So when we read about our responsibility to “fear God” in this manner, it means that we should demonstrate honor and respect for Him above all else. (1) NET Bible Notes on Nehemiah 1:11 http://classic.net.bible.org/bible.php?book=Neh#n18 Scripture and/or notes quoted by permission. Quotations designated (NET) are from the NET Bible® copyright ©1996-2006 by Biblical Studies Press, L.L.C. All rights reserved. “…For I was the king’s cupbearer” (Nehemiah 1:11). Nehemiah chapter one concludes with a statement that may seem awkward and out of place, especially considering the heartfelt expressions of sin and repentance that are found within the preceding verses. But this seemingly insignificant detail- “I was cupbearer to the king” (NIV) -is more significant than it may appear. Although an Old Testament-era king enjoyed all the privileges and benefits that accompanied his position, we shouldn’t lose sight of the fact that it was very dangerous to be a monarch in those days. You see, a man who served as a king during that period had to be vigilant and alert to presence of anyone who might desire to assassinate him and assume control of his kingdom. So even though a king wielded all the power and authority that came with the status of a monarch, he also lived with the very real possibility that every day might be his last if he wasn’t careful. Because of this, it was common for a king to employ a person known as a cupbearer, a position variously identified as butler, personal attendant, or wine steward in different Biblical translations. The cupbearer was an individual who held the general responsibility of watching out for the king. He was also tasked with the duty of tasting the king’s food and wine before it was served to ensure that no one had poisoned it first. The cupbearer also held management responsibility for the king’s vineyards and wine cellars as well. We’ll see how God worked through Nehemiah in this place of employment as we move further into this book. But before we continue, we should note that Nehemiah closed his prayer by saying, “Give your servant success today by granting him favor in the presence of this man” in the final verse of Nehemiah chapter one. So who is “this man” that Nehemiah is speaking of and what is his importance? We’ll find the answers to those questions in the next chapter.